Apple Days – Are they Good for Cheats and Stalls? Check out the basics of what an Apple Day on the hCG Diet is here. But now it’s time for some more in depth information – you should know I wasn’t going to let you get off that easy! There is always more to analyze so we can get the best out of this protocol. What Do I Think of Doing Apple Days at Other Times? For Instance, After Cheating? This might surprise you, but I’m not too fond of apple days, especially for after cheating on the diet. Here’s why. An apple day actually causes you to consume a lot more carbs and sugar than you normally would on the diet, in addition to not having any real quality protein. If you eat six medium sized apples in one day on hCG, you will be consuming approximately 114 grams sugar and 123.6 grams of net carbs. To compare, on a regular vlcd day you might consume only 32 grams sugar and 38 grams of net carbs. This is a pretty big difference don’t you agree? If you ate 6 large apples the difference is even greater (nutrition profile breakdowns below). Now not everyone who does an apple day eats all 6 apples- some might eat only 3-4 apples, in which case the difference is not so big and this might seem more reasonable. But for people like ME who love to eat, whenever I did do apple days, I always ate all 6 apples. There’s two problems with this. #1 Eating this much carbs and sugar can make the following couple vlcd’s more difficult. Carbs and sugar do this weird thing to your body where it makes you feel hungrier than usual several hours later. 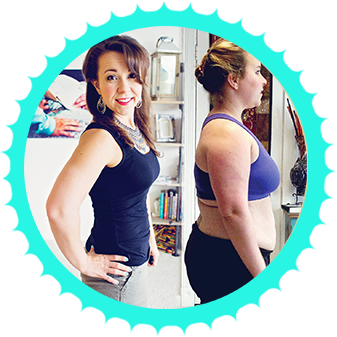 I actually wrote about this in more detail in this post about hunger and hCG dosage on the diet. It can be so easy when you’re not hungry to FEEL like you can handle the diet while hungry, until you get hungry. This phenomenom may not affect everyone with equal severity, so for some, it may be more of just a mild irritation feeling slightly hungrier the next day but not a huge problem. For others though it can make the next day or two pretty miserable – enough so that such a person might want to avoid it in the future. #2 It can interfere with the ketosis/fat burning state that your body typically gets into while on the vlcd. To be in ketosis, your body has to be consistently eating under a certain amount of sugar and carbs. Now, many people may never be getting into ketosis on hCG to start with – if you are eating the fruits and melba on P2, the carbs may already be too high to allow for this – I can’t be sure because I only tracked my ketones when I was not eating the fruits and melba on P2. So this again, may not apply to you. However, if you are actively trying to be in ketosis on Phase 2 by not eating the fruits and melba most days, doing an apple day may likely kick you out of that and may take a few days to get back in. So just a heads up there. Are Apple Days a Good After Cheating Choice? I’m not saying this necessarily makes apple days always a bad thing to do. what makes the most sense to correct it? To follow it up with a high carb, high sugar day? To me this doesn’t seem to make logical sense. What I usually suggest to people who want to do their best to fix the cheat or minimize the repercussions from it is a “super-clean” vlcd for a few days. Basically what I’m suggesting (and have used myself) is to actually eliminate the fruits entirely from the vlcd for a few days- eating extra veggies instead as needed to replace these calories. This is a great way to get back in ketosis as quickly as possible and to eliminate any cravings or naggings of hunger that you might otherwise have experienced (which if you have this following a cheat day- it’s a very bad combo- feeling bad about cheating, combined with cravings often just leads to even more cheating). 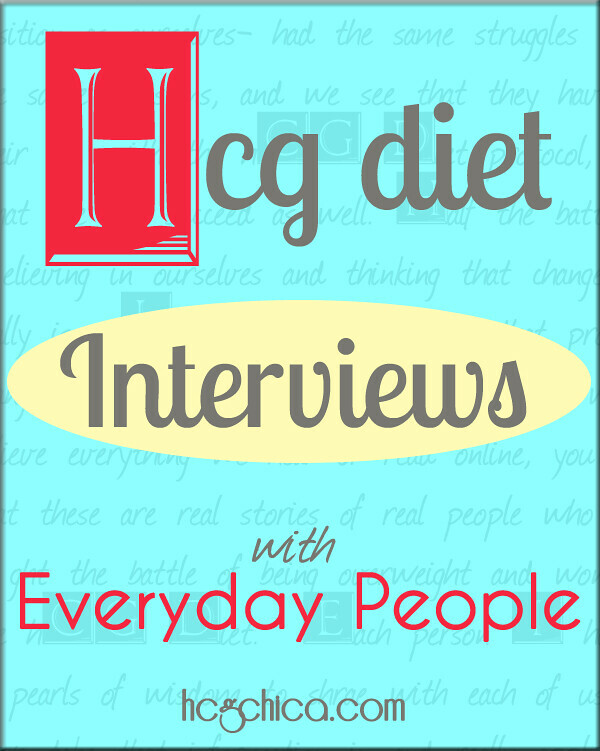 In fact I have a whole article just the quickest way to fix an hCG Diet Cheat. If you were thinking of doing an apple day to see if it helped a stall, and now you’re thinking you might decide against it, you can try what I suggested above- the super clean vlcd for a few days- eliminate fruits and melba/grissini and replace with more veggies as necessary. I actually have 2 very in depth posts on stalls as well for more info and help on that topic. Sometimes someone will do an apple day and it won’t work in the sense that they won’t lose weight the following day, or not any more than they would have lost on a regular vlcd, say .3 or something. I had that experience. I did an apple day just randomly one day on my first round- I had not been experiencing a stall at all, I just felt lazy one day and thought instead of cooking just eating apples would be very convenient. I lost zero the next morning. My guess is this was because I wasn’t retaining any excess water. If you do an apple day or two very close to the end of your round, it’s possible that your LDW (aka LIW) may be a little artificially low. Because apples are supposed to act like a mild diuretic and is supposed to help you shed excess water retention, it’s possible that when you go back to eating a normal amount of food which will contain more normal amounts of sodium than before, that this water weight will want to come back on and you might have trouble stabilizing within the 2lb window of this particular ending weight- if this happens to you, don’t sweat it or feel bad, just know that logically you may need to stabilize your weight a little higher up than where you ended. As an example, my 5th round, while I didn’t do an apple day close to the end of my round, I did start getting sick and couldn’t eat much etc and I had a dramatic like 2lb drop right before my last day on the injections, which lead my liw to being like 117lbs- but because of the circumstances behind getting to that weight weren’t really normal, it wasn’t a weight I could stay close to- because that 2lb drop wasn’t actually fat- it was just fluids and I was basically overly dehydrated at the end of the round because of getting sick. So I just needed to stabilize higher. I think it’s important to mention these possibilities because it can be all too easy for us to beat ourselves up or get down on ourselves for feeling like we are not accomplishing what we thought were supposed to, but on looking deeper we see the real reasons and can be aware that we haven’ t failed in some way- we just didn’t have all the facts that’s all. I know it sounds like I’m anti-apple day- the thing is just that that sometimes we want to believe there are little tricks that will actually produce a much higher rate of fat loss, but in reality that’s not actually happening and it’s just good to be aware of it so that you can make an informed choice. You may choose to still to do an apple day here and there for various reasons- fine! Just remember if you lose 3 lbs after an apple day, you didn’t just lose 3 lbs of fat. The majority of it is probably water and won’t necessarily be something that you can continue to keep off after the round is over. However, some people do report really good results with apple days that seem to stick, so in thinking about it, I’m thinking some women probably retain water more easily than other women- for these women apple days may really make sense. Apple days are more about keeping your sanity- which is something worth keeping ya? Eating extra clean on hCG by removing your fruits and eating extra P2 veggies can be another sanity saving measure where you’re doing something “different” and this may actually help produce a better result for your body’s overall fat loss. I swear by apple days. If I cheat, I do an apple day the next day and I’m right back where I left off. I suppose it affects everyone differently. I don’t recommend doing it often, you’re body catches on. My first round I lost over 50lbs but I failed miserably during phase3… I gained about half back, I’m on week 2 of round2 now and I plan on seeing phase3 to the end this time. I’m so happy I found ur blog this time around, it’s been awesome! Thanks!! So from all the responses I think it’s fair to say results really vary. For me, I’m still most fond of doing a clean eating day on P2 to get over a cheat especially by eating no fruits but rather the proteins and veggies. For stalls, I kind of like the same tactic, although really I’m of the opinion that stalls just have to take their course. So basically if you notice here, the sugar and carb count is quite a bit higher for an apple day than a regular vlcd. Again, doesn’t mean you can’t do one, and if you really have stopped losing weight for a few days, you will most likely lose some water weight, but Dr. Simeons felt the idea there was more that it was a mental tactic to stay sane on hCG. Which sometimes you need! MY QUESTION IS KIND OF OFF TOPIC BUT HERE GOES, SO I STARTED 2 WEEKS AGO AND I AM DOING THE VEGGIE PLAN (BY CHOICE) AND I OBVIOUSLY DIDNT THINK IT THROUGH BECAUSE NOW IM HAVING A HARD EVEN EATING CUZ BOTH EGGS AND COTTAGE CHEESE MAKE ME GAG, IM DOING AN APPLE DAY TODAY AND I WAS WONDERING IF OR HOW IT WOULD EFFECT ME IF I STARTED EATING MEAT AFTER THE APPLE DAY? I don’t think there would be an issue, as long as you follow the protocol and won’t go beyond the calorie limit. This is my first time on HCG and just found this terrific site. Thanks!! I’m having a pretty hard time with all of this and trying to find out if and how this can work for me. I work long hours in a passionate profession in which I always eat out. I am finding this is a real challenge. Furthermore, I am largely a vegetarian, never eating red meat and on some occasions, eat a small portion of fish or chicken. I also have a serious hypothyroid issue, which was the cause of my original weight gain – 50 pound gain before it was diagnosed properly and treated with ongoing meds. Since gaining it, I have never lost it. And, given that soy is discouraged for hypothyroidism, it makes being a vegetarian really hard going on HCG. Help! The first week, I lost the 7 pounds that I had gained on the loading days. The second week – nothing. Back to my weight before I ever did this program. I am sick of being hungry. Sick of eating boiled chicken…no time or interest in cooking and when I do, it tastes terrible. Yesterday, I completely blew it big time and ate some foods and amounts that I like I typically don’t eat, regardless of being on a diet: yogurt for breakfast (my usual), peanut butter on seed bread my usual with fresh cherries (typical for me) and a big piece of Key Lime pie (NOT my usual!) and for dinner, a huge salad with olives and feta with olive oil and vinegar (my usual) and then 2 huge white chocolate cranberry nut cookies and a large glass of low fat mild (Not my usual). Realizing what I was doing yesterday as I longed to eat how I like to eat, I stopped taking the hcg drops. I am feeling really sick this morning after this rich fattening binge (for me) and totally discouraged. Can a vegetarian who doesn’t cook, eats out (no fast food/I love healthy fine dining) lose weight? Am I hopeless? I spend my life with my own patients helping them, but feel discouraged in helping myself with this weight I’ve gained and been unable to shed for the past 10 years. Do I continue taking the hcg today, do I weight a few days and try again? Any feedback is deeply appreciated!!! One thing that vegans on hCG are doing is utilizing the sprouted plant based protein powders for their protein intake- ie. sprouted rice protein powder (sunwarrior is a brand Rayzel have used), sprouted pea protein powder etc. Additionally- and this would be a bit more of an experiment- someone just wrote in to Rayzel who is vegan discussing resistant starches and how things like COLD quinoa is totally different from hot quinoa, and that once the cooked starch is cold, your body no longer digests it in the same way as carbs and if eaten cold, your body processes it more like a fiber- you would probably want to research this a little further though- she plan to herself because she’s intrigued by it! Anyway, the point is, this vegan is eating cold quinoa as her protein as well. One of her absolute favorite vegan protein powders is Genuine Health’s Vegan Proteins Natural Vanilla flavor. It has a very creamy texture and flavor to it and only 2 grams net carbs per serving of 20 grams protein- so that might work for you as well. There’s also a fermented version of same brand but Rayzel hasn’t tried it and you might want to just double check nutrition facts on it. 1. You can sub 1/4 cup (uncooked measurement) quinoa for the protein. 2. Cottage cheese worked as a sub for the protein. The serving is around 100grams, so measure based off serving sizes in a container. 3. Fat free plain Greek yogurt was awesome for me, and I would often have it mixed with half or all of my apple or strawberries. 4. Making chili was my SALVATION half way in, because I was so sick of trying to choke down quinoa, so after a few weeks of quinoa experiments I decided to make quinoa “chili” and then moved on to using Boca soy crumbles and I continued to lose on the soy crumbles–people with soy problems might not be the same as me. Note: The key for everyone, of course, is to know what will stall you, so I recommend at least the first week to only use quinoa as the protein, and then start trying a sub for only one meal a day for a few days and see how it goes/if you stall, before doing any full days without quinoa. Thanks so much for taking the time to give me so much useful information. I will try cold quinoa and cottage cheese (low fat I presume is required) and see if I can hold on for a while longer. I really appreciate this site and your helpful information! Your words and encouragement are a gift. Can I use oranges instead of apples? I wish I had read this before doing an apple day yesterday! I have not lost a single ounce in almost 2 weeks. Nor have I lost inches. I was only able to eat 4 apples. By the evening, I had a horrible stomach ache. But the good news is that I lost 2 lbs. I am hoping it doesn’t creep back tonight! I don’t think I will do an apple day again, I will probably try an egg or steak day. Also, I am cutting out fruit and melba toast for the rest of P2! Not sure why Dr. Simeons picked apples for fruit- they have soo much sugar. Day 20 of 42 and down 11 lbs. Yay! I am using the homeopathic HCG drops from Escrow Refills. I have about 40 more lbs to lose. I have cut out apples and melba toast, as I was abusing the toast! I have added more green vegetables instead and find that has helped. I love this website!! I wish I had found it when I started my journey four years ago. 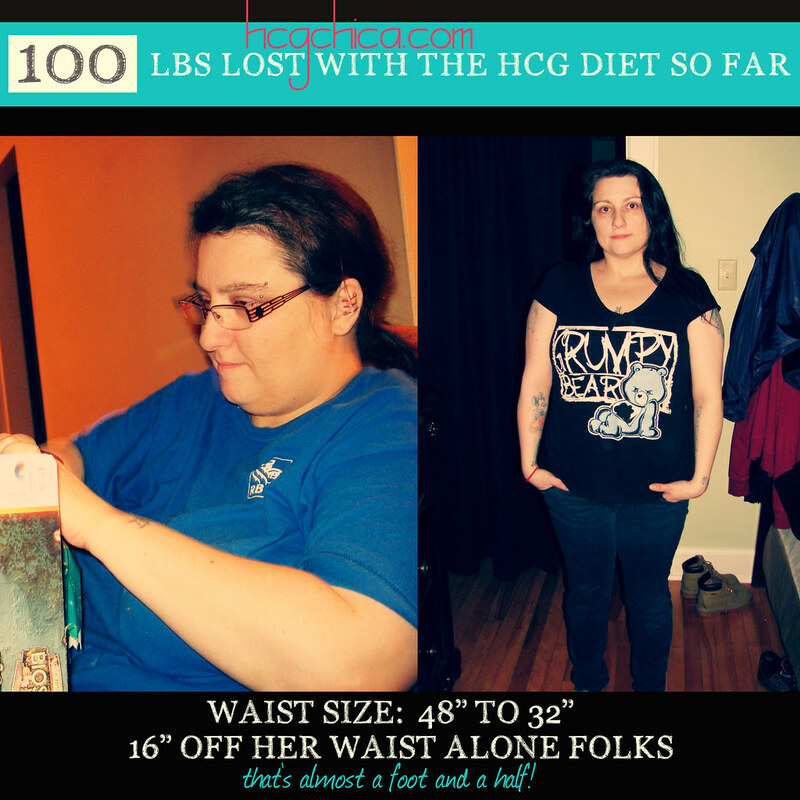 I have been doing the hcg program through my doctor on and off since May of 2011. I lost 100 pounds over the course of two years. I have however struggled to keep the last 15 off and now have gained 15 more. So now I am up 30. I am still proud of my accomplishment, however I need to get back on track. i’m not sure if I’m eating enough calories once I am on P4 and thats one of the reasons I struggle. I do watch everything I consume. I also wonder if any one has used the HCG nasal spray, as that is what I am using. I wonder if that is why I am hungry on the program. I would like your input. I’ve heard and done egg days and I like them much better than apple days. I felt more satisfied and had a 2-3 pound loss the next day. I don’t see anything on the site about slight weight gains. Can you comment on that please? I adhere strictly to this diet, never cheat and yet sometimes notice slight weight gains. Frustrating, but still plugging away. I completely forgot i wasn’t suppose to have water on apple day? I’m so upset. I think I had 3 bottles and have only had 2 apples so far? What’s going to happen now? I have been really busy at work and just wasn’t thinking. This is my first time doing hcg. I love this website! Thank you Rayzel! You have made this diet easier for me. I am so glad I found you for help. I have stalled for 2 days and felt like crying. After reading about stalls and apple days, I feel so much better. I am on day 3 of my 4th week, and down 18 pounds. I am surprised at how good I feel and the cravings are finally manageable! This morning, my heart was beating fast. I have not cheated at all, been drinking 2 liters per day, and sleeping great. I was wondering if anyone else have had their heart race during this diet. That was around 630 to 700am. I have never had this happen before. Anyone else had this happen? I am on 150. When I was on 125, I was hungry. I will try dropping my dose now that I am no longer hungry. Thank you! I am telling everyone about your site! Hi HCGers! S.O.S Ive done this diet several time in the past 4yrs so not a newby to how it works and it always worked well. I have 15lbs that comes and goes. I just don’t understand whats going on this go. Ill say its not the hcg (from Escrow refills), my hubby is on it and he is loosing perfectly. I started at 150IU now back down to 125IU, Im not really hungry, just miss things. BUT OMG I’m not loosing at all, 3 lbs down from preload, 13 days now on VLCD. I did start TOM and just pushed through it, its almost over. TOM was to erratic not a trustworthy start date so I just did not factor that in when I started my hcg. Its just holding on. What else should I do, Im not menopausal yet, 51yrs old. Weighing food with digital scale. Like I said Ive lost it so easily in the past. Water water water every day, lots of tea….I get plenty of exercise. Energy is alway my biggest issue with this diet. One thing Im doing different this time for that is taking B12 injections. Any advice would be so welcome. Im thinking of going back up to 150IU. Im not feeling an Apple day so much. Anyone with this issue and advice is more than welcome. So I’m on Round 3 and I just finished doing an apple day at the advice of my doctor. I had not cheated at all but after 3.5 weeks and 13 lbs. was only losing about 0.1lb. each day. I did the apple day from morning to night rather than noon-noon as in Dr. Simeons’ protocol and it seems to have worked, despite I’ve now started my cycle as well. I could only get down 5 of the 6 apples but made it fun – bought a Braeburn, a Jonagold, a Granny Smith, etc. and was down 1.5lbs. immediately the following day. Now 4 days later I’ve lost an additional 1.8lbs. and am back on track with an average loss of just over .5lb./day. I don’t know why I waited so long to do the apple day – I guess it felt like some sort of failure – but something my doctor pointed out is, if you’re already not losing and you haven’t cheated, you can’t make it any worse with an apple day. Thanks HCG Chica for all the wonderful information and insight, and giving us a place to learn and be successful together! Hey @Lisa Moran – that’s so great to hear! Thanks so much for writing in with your experience. Hi HCG Chica, thanks so much for all you do for us! I completely AGREE WITH YOU!! I have tried the hcg method on and off for 2 yrs, failing at it each time!!!!! Couldn’t point my finger on why, would cheat a lot etc.. Since reading one or your last posts I decided to start Ph2 without the fruit. Basically I’m carb free other than salad n veggies. LET ME TELL U: In 18 days I have lost 18.9lbs!!!!!! never before! I am NOT hungry, don’t crave sweets, at times I force myself to finish my dinner. I am super excited and will continue until I reach my goal! Need to lose 40 more. I document everything as well. I drink close to a gallon of water a day. Oh and this time I don’t have my first meal till lunch time around 12 or 1. I am on a roll! THANKS SOO MUCH! Hey +Syn thanks for your comment! So glad to hear your cravings have stopped with this approach! It really is amazing the difference it can make in how you feel isn’t it? You’re so very welcome and I’m glad to made the time to put your feedback in! Great post Rayzel, and i so appreciate the info. I have generally found apple days to be effective, but have used them rarely. And i don’t feel that great afterwards, too much sugar/carbos. But they do give me a boost and help end a stall. I think, as you suggest, that it is important to use them wisely. Thank you for all the pros and cons in one place! Hey Barb! I thought it was very interesting gathering everyone’s thoughts in one place as people obviously experience different results with them, both physically and mentally – so good to listen to your own body- glad they gave you a boost!